Make it difficult for someone to conceal themselves while breaking in. Avoid tall/thick shrubs around your windows and doors. Avoid privacy fences. Avoid having stuff in plain sight that says “We have lots of $$$.” If you have an expensive car, keep it in a garage. If you have nice stuff in your house, keep your blinds closed. If you just bought a flatscreen, trash and conceal the box. Burglars case a neighborhood before they rob it. They know when you leave for work. They know when your neighbors leave for work. 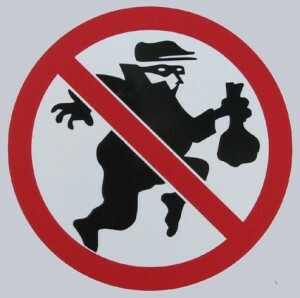 If you have neighbors that are home during the day, it will make your house a riskier break-in. If you have a security system, don’t put one of those “Protected by ADT” stickers on your door. 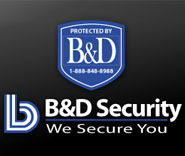 Knowing which brand of security system can provide enough info on how to disable it. Get a generic sticker. Get a dog. The bark is more important than the bite. A little yappy dog can be more of a deterrent than a German Shepard. Remember, the goal isn’t to make your house completely break-in proof. It is simply to make your house a less attractive target than the other houses in your neighborhood. Look at the surrounding houses and adjust accordingly. Don’t be the lowest-hanging fruit!